Mass Effect Trilogy – And here we start off strong, with a package that is easily worth twice what they are charging for it. This is the perfect gift for that member of your gamer family that has yet to experience the awesomeness that is the Mass Effect Universe (you know who I’m talking about). Don’t ask, just get it. Halo 4 – I have picked up every game in the Halo Series at launch (except Wars) and while I will be picking this game up soon, I may actually hold off a little before I pick up Halo 4. I’m still enjoying Borderlands 2 to switch games at the moment. But Halo 4 will be mine. Oh yes, it will be mine. Call of Duty: Black Ops II – I’d have to go back and look, but has a Call of Duty launched this close to a Halo game? I guess it’s been quite a while since Halo 3, but it is going to be interesting to see how the launches match up against each other. History: Legends of War Patton – If my dad played video games, he would definitely dig these History Channel games. The Hip Hop Dance Experience – Looking at this track listing, I’m not really sure if this is exactly a “Hip Hop” experience. LEGO Lord of the Rings – A holiday release wouldn’t be complete without a LEGO release. Disney Epic Mickey 2: The Power of Two – Coming soon: DLC characters of Luke Skywalker and Jar Jar Binks. Nintendo Wii U Console – Black Deluxe Set – Tempting. So very, very tempting. Mass Effect 3 – The mind boggles at how good Mass Effect 3 will be with that secondary screen on the Wii U controller. Game Party Champions – I see we’re getting a head start with the shovelware. 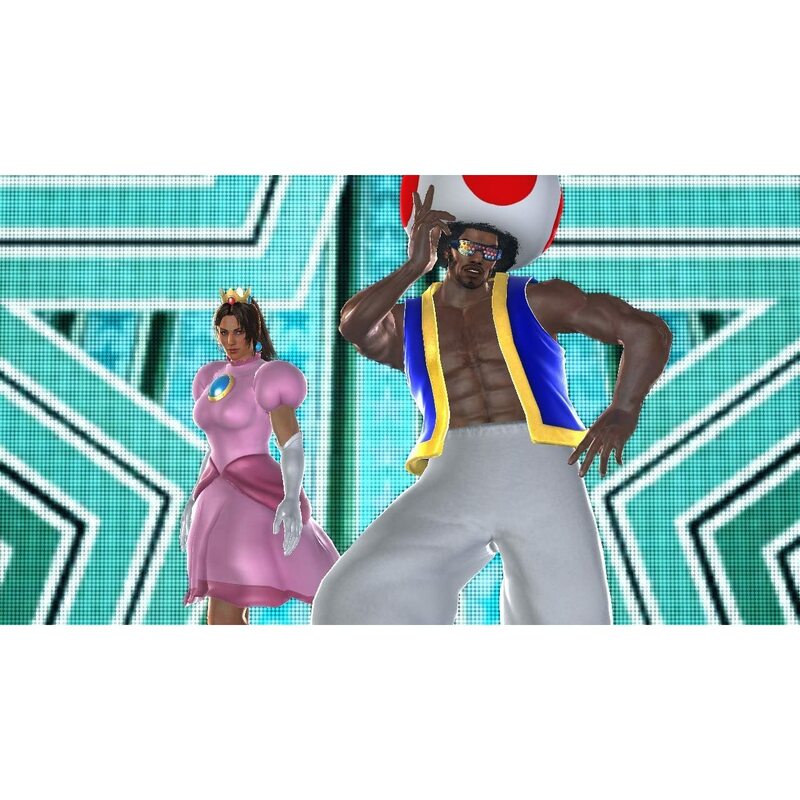 Tekken Tag Tournament 2 – Need I say more? Harvest Moon: A New Beginning – Harvest Moon you say? Why yes, yes I would like to link my old Harvest Moon review! Adventure Time: Hey Ice King! Why’d you steal our garbage – Yeah, Ice King? What’s your deal?! Adventure Time: Hey Ice King! Why’d you Steal our Garbage ?! The only thing I’m definitely getting is Hitman because I have it preordered on Steam. Otherwise, I’d like to get Persona 4: Golden but I’ve vowed not to get it until I’ve finally finished P3P. Plus I already sunk 110 hours into that game on the PS2, so I’m not in as big of a rush for it. I’ve got so much still to work on from October (and earlier) that I’m breathing rather easily now! I’m with you — still too much to work on. I’m still having too much fun with Borderlands 2 to really branch out just yet. But Halo 4 will be mine before the month is over. And I still have games from October I want to pick up. Never enough time! I highly recommend it. Online is a lot f fun. I’ve tried to do multiple playthroughs making different decisions along the way but I always end up being the good guy.